When most people think of the Jeep brand, images of going off-road and open-top ‘wheeling likely come to mind. But, did you know that Jeep’s history with the SUV goes far beyond the Wrangler platform? In fact, the company’s Grand Cherokee has been an exemplary compact and powerful SUV since the first generation rolled off the lot in 1993. One thing that Jeep has always sought to do with the Grand platform is pair the Unitbody machine with a powerful V8 engine option. However, it wouldn't be until late 2011 that Jeep would take its power-hungry SUV obsession to an entirely new level with the WKII Grand Cherokee SRT8. Aiming directly at luxury competitors (Land Rover, anyone? 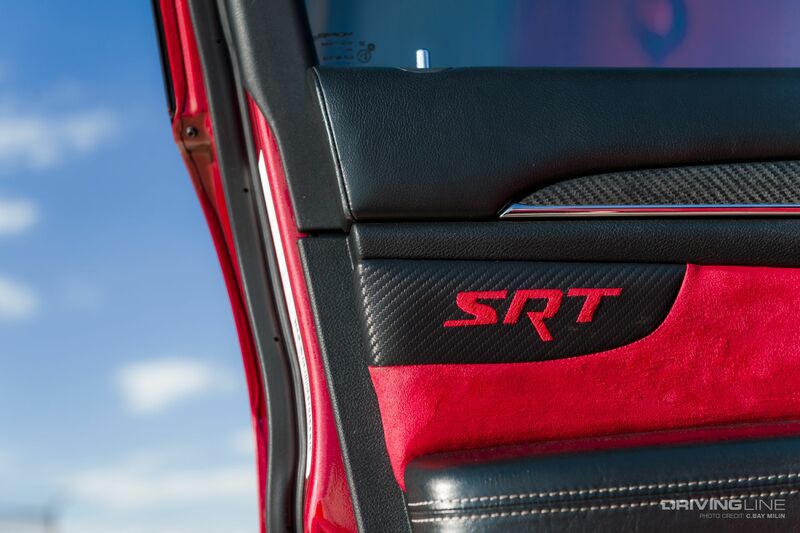 ), the SRT8 put out 470 horsepower out of the 392ci 6.4L V8. This ultra-luxurious all-wheel-drive land rocket quickly became an enticing build platform for those looking for the convenience of an SUV with the power of an American muscle car. 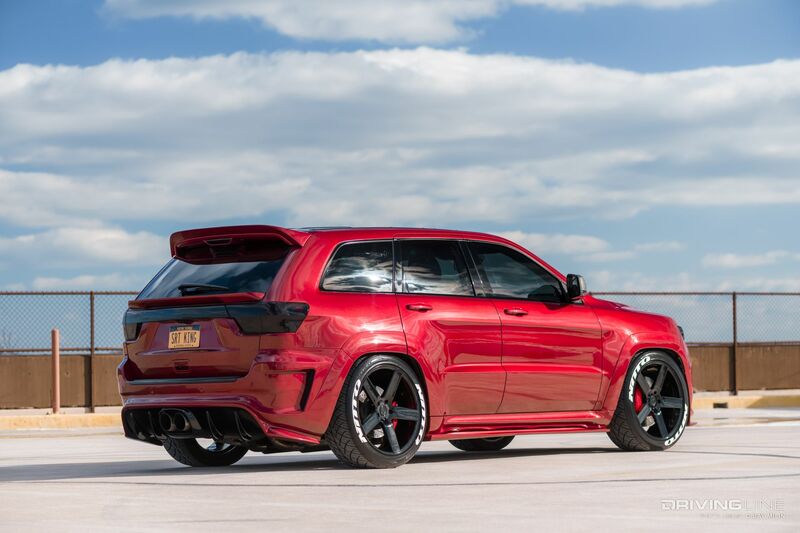 A great example of this can be found with Tommy Nemeth’s 2012 Jeep Grand Cherokee SRT8. 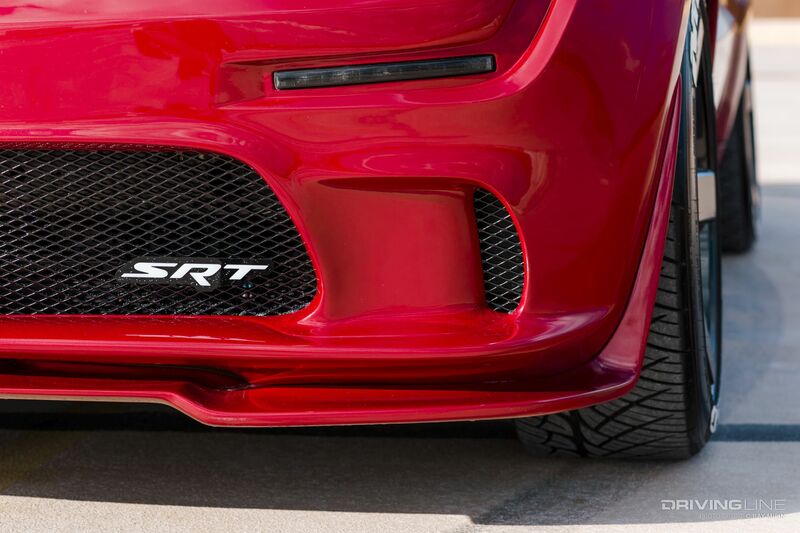 Currently, the Jeep’s putting down 787 horsepower at the wheels! This means he’s well north of 800 horsepower at the flywheel. Getting to this number was no small feat, and we recently got a chance to check out the New Yorker’s ride for which he’s named simply, "TNT." 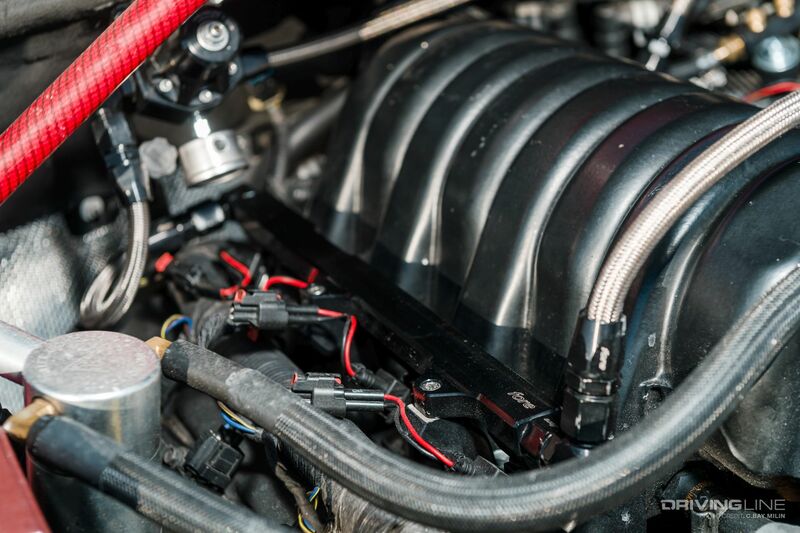 In order for the Grand’s V8 to reach Nemeth’s power goals reliably, he had the Gen III Hemi specialist at Extreme Muscle Performance pull the block and go through the internals. The balanced-and-blueprinted engine now sports a 4.090 bore, 3.724 stroke and 10.3:1 compression. To ensure the bottom-end components were up to the task, 2316 Mahle forged pistons were paired with Molnar rods, while an Apache Maxx camshaft was used. A ported head and intake manifold increase flow to the cylinders. 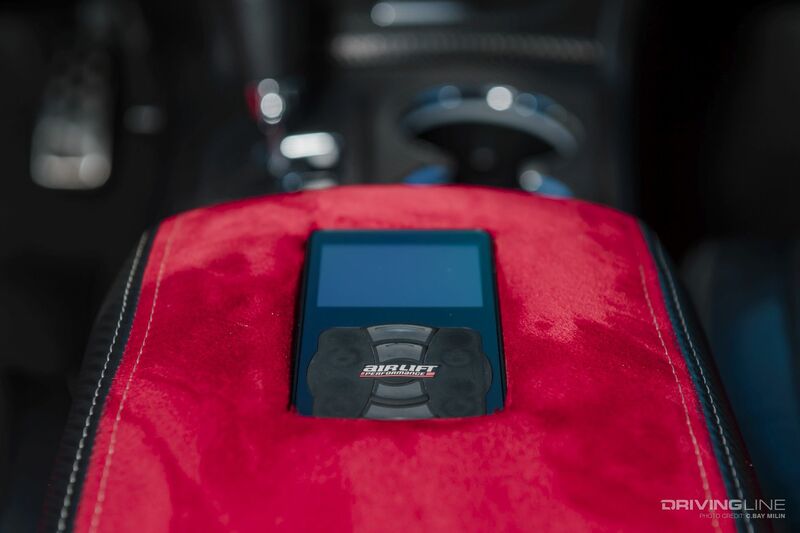 All of the red anodized bits come from Billet Technology. Cranking up the air density is a F-1A supercharger from ProCharger. The intercooled boost system works with a FORE Innovations triple pump system to power this E85-fed V8 to incredible power numbers. 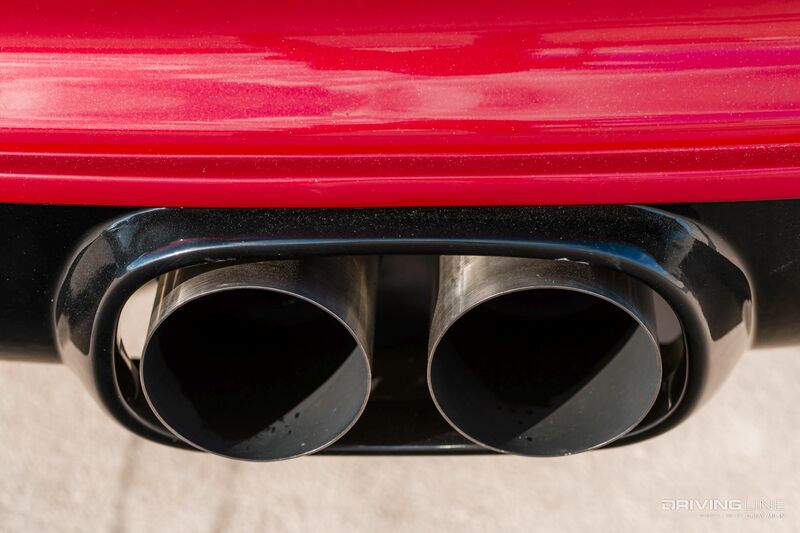 Helping to expel the fuming engine are 2-inch American Racing headers that flow into a custom dual-exhaust system using MagnaFlow mufflers. To convert the power under the hood to the wheels Nemeth went with a War Viking NAG1 transmission built by Southern Hotrod. The fully built automatic transmission is fit with a double-sided clutch conversion, Alto Red Eagle clutches, Kolene treated seals, upgraded K3 clutch support and a host of proprietary machining elements to create a nearly indestructible transmission. The A-pillar gauge pod holding three AEM gauges was put in place to make sure Nemeth can keep an active watch on the Grand’s vitals. 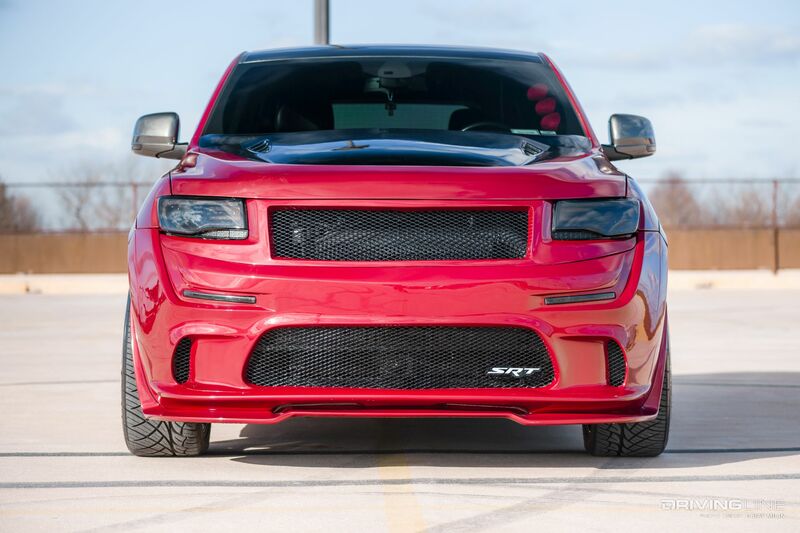 While the WKII SRT8 is a pretty sleek-looking SUV off the lot, this one got an extra helping of style with a full Sarona Design body kit and grille. To keep the finish uniformed, everything was painted to match with the Deep Cherry Crystal Pearl color code. 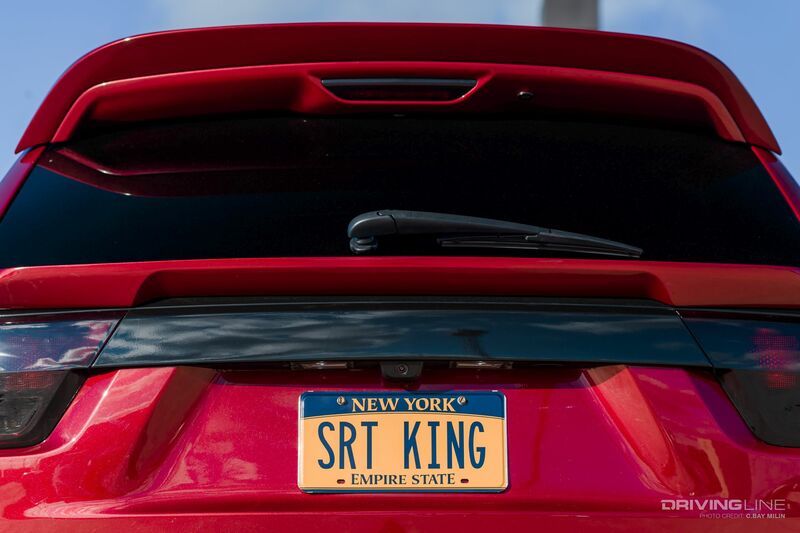 Giving the Grand the ability to ride nice and tuck in the Nitto Tires at rest is an full air suspension built by Air Ride Equipment and installed by Speedway Auto in Deer Park, New York. The bolt-on bag system is powered by two Viair 444c air compressors and works with upper and lower control arms by Black OPS Auto Works. 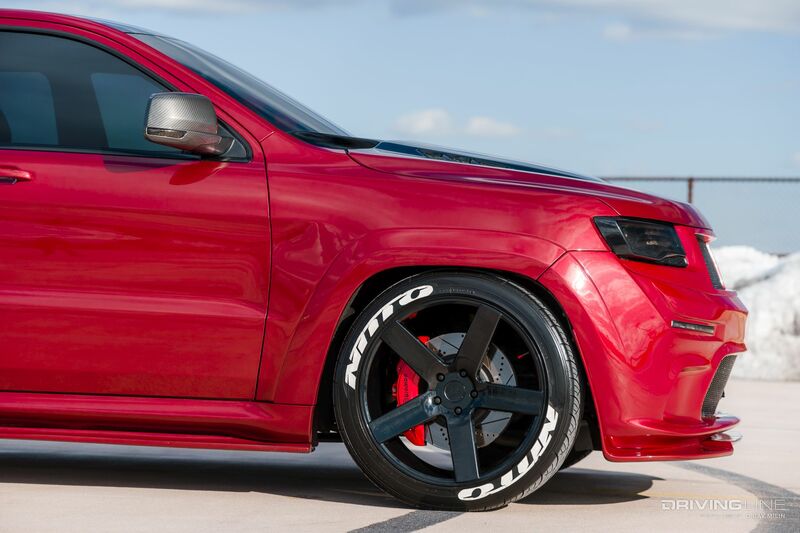 In order to put the power to the ground, a set of Nitto 420S 285/40R22 tires were wrapped around 22x10.5 Niche wheels. The 420S is one of the more popular tires for those with performance-oriented trucks and SUVs as the asymmetrical pattern is known to hook up extremely well under serious power. 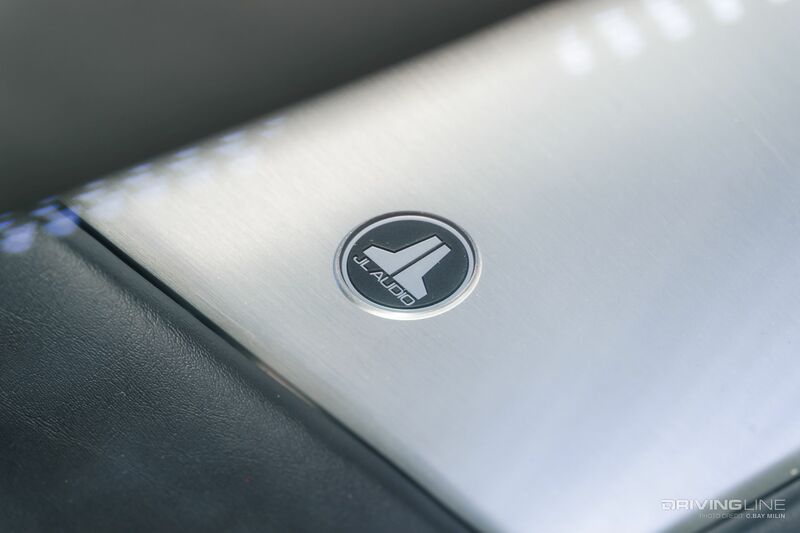 Inside, the crew at Jamo Power Performance added a touch of custom to the suede and leather seats and center console. Another hand-fabricated Jamo piece was the rear cargo box that holds the two JL 10-inch W7s and amps, along with the housing for the suspension’s air compressors. Helping to keep under-hood temps down while reducing weight is a Black Ops Auto Works carbon fiber hood. Fit with functional side vents, Nemeth states the hood works extremely well at channeling hot air out. Those custom headlights come courtesy of Go2Customs. 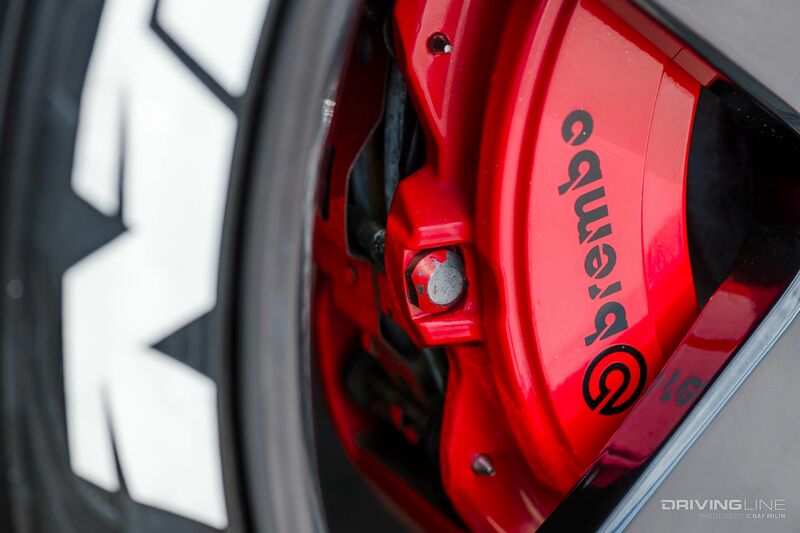 To stop the 5,000-plus SUV, Brembo calipers and R1 rotors were placed at each corner. The tire decals come from Tread Wear tire lettering. To get an a little more insight into the build we asked Nemeth a few questions about his Grand. 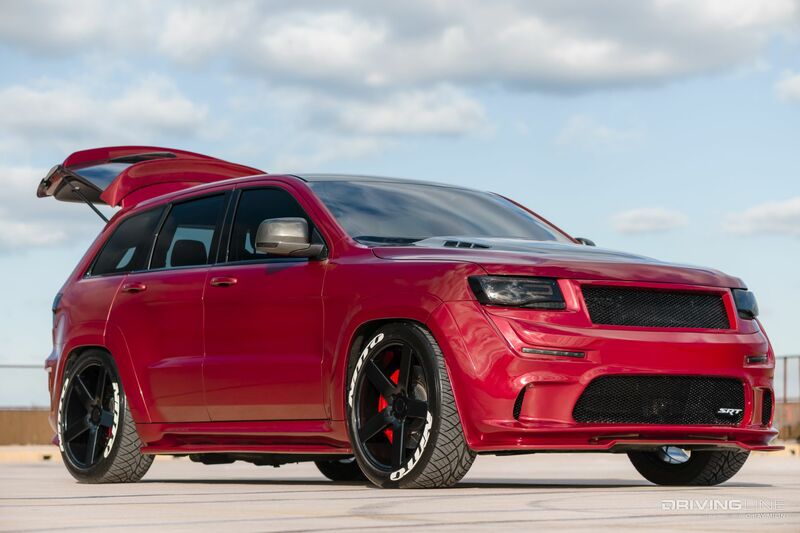 Driving Line: What made you want to build a Grand Cherokee? Tommy Nemeth: Because I like the fact that I can pull up next to a sports car and take him off of the line. And then seeing the reaction on their face when they realize they just got blown out by an almost three-ton brick! DL: Have you found the weak link(s)? TN: The weak links are the stock transfer case and rear driveshaft. DL: Anything else you would like to modify? TN: I would like to upgrade the driveshaft and rear differential. DL: How have the Nittos performed? TN: They have performed excellent. The only issue I have is the Niche wheels are heavy. DL: Any advice for someone looking to build a Grand like yours? TN: Take your time and do your research before it cost you double! Check out more photos of Nemeth’s Grand in the gallery below.